My first WorldCon is just around the corner! Below is my schedule, and I’d like to give kudos to Mary Robinette Kowal and the rest of the WC team for all of their hard work with the programming overhaul. I’m really excited to be on board on a wide range of panels. Agents & authors can reach out if you are interested in booking a meeting in my off-time. One of the key advantages that SFF has is allowing us to tip the real world to the side to expose the interconnective tissue. This is often a powerful lens for Young Adult authors. It allows them to obscure issues with fantastic set dressing. Our panelists look at what that skewed lens offers, be it fantasy, science fiction, steampunk or other genres. How does it affect the stories they can tell and the audiences they can attract? What are some of the best ways to leverage the skewed lens of SFF for a Young Adult audience? Pick my brain! Learn about books & other things! For all kaffeeklatsches, you have to sign up the day of at the sign-up booth in the exhibit hall to reserve a spot. The long awaited reprint of Wild Cards VIII: One Eyed Jacks is now pubbed! You have an opportunity to get a copy while at Worldcon and to get autographs from many of the authors. This is a special group signing. Copies of the trade paperback will be available from Borderlands Books, in the Dealer’s area. The authors will ONLY be signing Wild Cards books. The Fake Geek Girl is a harmful stereotype which has been used to make women feel unwelcome at the gaming table. This panel will tear apart that stereotype, and talk about all the ways in which women have contributed to the gaming world. Is it artistically transformed carefully constructed Victorian clothing? Is it cunningly modified thrift store finds? Is it a fusion of Victorian elegance, pure fantasy, and steam-powered science-fictional engineering? Or is it any old thing that you just slapped a few gears on? Tor editors present recent and upcoming titles! San Jose has a vibrant Vietnamese community, so I’ll be in Little Saigon in pursuit of awesome phở ! Reach out for location & details. I’ll be there, looking rad and fab. Come say hi! Back in 2016, editor Melanie Meadors reached out about my interest in being involved in an anthology she had in the works focusing on stories that defy female stereotypes. I gladly signed on, and later that year in the weeks after the election, I turned in my contribution: a pistol shot of an essay titled “Anger is a Friend to Love.” I’m pleased to know that later in 2018 this essay will be released to the world as part of this amazing collection of fiction and non-fiction. HATH NO FURY, edited by Melanie Meadors and J.M. Martin, features an introduction by Margaret Weis, a foreword by Robin Hobb, and all-new material from Seanan McGuire, Carol Berg, Lian Hearn, Elaine Cunningham, Gail Z. Martin, Nisi Shawl, William C. Dietz, Bradley P. Beaulieu, Elizabeth Vaughan, Dana Cameron, Philippa Ballantine, and many more. Mother. Warrior. Caregiver. Wife. Lover. Survivor. Trickster. Heroine. Leader. Hath No Fury contains approximately 20 meaningful stories that defy the stereotypes. In this anthology, readers should expect to find super-smart, purpose-driven, ultra-confident heroines. Here, it’s not the hero who does all the action while the heroine smiles and bats her eyelashes; Hath No Fury’s women are champions, not princesses in distress. Embracing the strong warriors to the silent but powerful, to even the timid who muster up the bravery to face down a terrible evil, the women of Hath No Fury will make their indelible marks and leave you breathless for more. The book comes out in July 23, 2018, and people can pre-order it here. It’s that time of year for award nominations, and so, for your consideration, here is a list of all I edited in 2017. Some books are steampunk, some are not, but all are simply fabulous! After the jump, read more about these books, (listed in publication order) and, perhaps, check these out at the bookseller of your choice. Steampunk Universe now on sale! Steampunk Universe, edited by Sarah Hans. Click to purchase! Happy 2018! Kicking off the new year to put in a good word for Steampunk Universe, the follow-up to Steampunk World that contains multicultural, global stories featuring disabled characters. I’m happy to provide the introduction for his title alongside SFF writer & disability advocate Elsa Sjunneson-Henry. Check out below for more information, the tables of contents underneath the jump, and check out the link to grab your own copy. We keep proving them wrong. 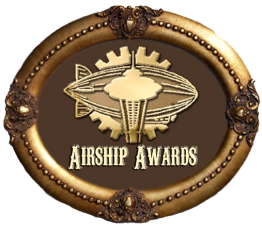 Several years ago, we brought you the award-winning anthology Steampunk World. Since then, a number of prominent anthologies and other works of diverse steampunk fiction have sprung up. We want to see characters like ALL our friends, like ALL the members of our families. We want to see fully developed characters in steampunk who are disabled or aneurotypical. We want to see more than token characters and cliched plots. We were told it would be too hard, especially in steampunk. We are going to prove them wrong again – and we want you to join us. Join editor Sarah Hans, our cover artist James Ng, and contributors Ken Liu, Jody Lynn Nye, Maurice Broaddus, Malon Edwards, Emily Cataneo, Pip Ballantine and nine others today. Announcing details about my New York Comic Con panels this year! Geeks of Color is the premiere NYCC panel on diverse career-building in comics, book publishing, gaming, animation, and film/TV. Learn the business from award-winning children’s author Dr. Tony Medina (I Am Alfonso Jones), Eisner & Harvey Award-nominated artist Ethan Young, Cerece Rennie Murphy (founder, Narazu.com) gamer podcaster/author Michael F. Haspil (Graveyard Shift), video game designer/activist Shawn Alexander Allen (Rockstar Games; Nuchallenger). SHAWN ALEXANDER ALLEN makes (often political) art in the way of games (both digital and non), photography, poetry, and dystopian fiction. A 9 year veteran of the gaming industry, he has worked at Rockstar Games, ESI Design and is currently at MLB.com in a producer role for Gaming & VR content. Shawn is also co-organizer of the Game Devs of Color Expo, the first game conference in Harlem at the Schomburg. MICHAEL F. HASPIL is a fantasy, science fiction, and horror writer. TOR published his debut novel, Graveyard Shift. He is a veteran of the U.S. Air Force, worked for NASA, and has a M.S. in Space Studies from the University of North Dakota. He is a co-host on The Long War, the premiere podcast covering Games Workshop’s Warhammer 40,000 tabletop game. He has contributed strategy and advice columns to the Bell of Lost Souls and SpikeyBitz.com, the two most popular websites for tabletop wargames. DR. TONY MEDINA is the author of six beloved books for young readers, as well as multiple volumes of poetry for adults. A Pushcart Prize-nominated poet and a professor of creative writing at Howard University, Dr. Medina is a two-time winner of the Paterson Prize for Books for Young People. His newest book, I Am Alfonso Jones, is the first YA graphic novel about the Black Lives Matter movement. National bestselling and award-winning author CERECE RENNIE MURPHY is the author of six books. In 2016, Mrs. Murphy launched NARAZU.com, an online platform designed to help avid sci-fi fans find the BEST indie sci-fi and comic culture content on the planet. To date, NARAZU has built a community of over 20,000 sci-fi and comic enthusiasts. ETHAN YOUNG is an Eisner and Harvey nominated comic book writer/artist based in Ithaca, NY, with roots in NYC. He started his career with the self-published autobio comic, Tails, which won the 2007 Independent Book Award for Best Graphic Novel. Ethan is best known for Nanjing: The Burning City from Dark Horse Books, which won the 2016 Reuben Award for Best Graphic Novel (along with Eisner and Harvey nominations). Other works include The Battles of Bridget Lee (a sci-fi allegory of Mulan) and contributing to the Eisner winning anthology, Comic Book Tattoo: Stories Inspired by Tori Amos. In addition to comic work, Ethan has also worked in animation as a storyboard artist for The Centsables on Fox Business Channel, and as a Character Designer for Major Lazer on FXX. The face of publishing is changing, with professional women of color being more of a force than ever. But what is it really like working in publishing? A fresh take on becoming successful that’s more than leaning in, but also branching out. Featuring professionals from the industry’s top houses, including author K. Arsenault Rivera, senior book designer Regina Flath, video game editor Jes Negrón & senior marketing manager Ebony LaDelle. MODERATOR: Science fiction & fantasy editor DIANA M. PHO (Tor Books) has curated and moderated the Geeks of Color panel at New York Comic Con for the last four years. Her NYCC panels have been featured on CBS’s Inside Edition, MSN.com, and Ebony Magazine. She has been interviewed about fandom for many media outlets, including BBC America, the Travel Channel, HGTV, and the Science Channel; the websites Airship Ambassador, Racialicious, and NerdCaliber. Authors she works with at Tor include George R. R. Martin, Robert Jordan, A.J. Hartley, and Lara Elena Donnelly. K ARSENAULT RIVERA was born in Mayaguez, Puerto Rico. She moved to Brooklyn as a toddler and has been complaining about the heat ever since. She’s been writing as long as she can remember—from looseleaf fanfiction passed around her fifth grade class to fifty page character backstories. She writes her stories to combine her experiences as a queer woman of color with her passion for the high fantasy genre. All of her work features women loving women who take control of their own destinies. These days those stories have evolved into whole books. Her debut novel, THE TIGER’S DAUGHTER, will be released on October 3rd. REGINA FLATH is the senior designer at Random House Children’s Books and the designer of several NYTBS books, including WHEN DIMPLE MET RISHI, SUICIDE NOTES FROM BEAUTIFUL GIRLS, and many others. Most recently she designed the backlist repackages and new front list covers for Tamora Pierce. She has been in publishing design since 2009. Regina is hapa (half Filipino, half American). When she’s not designing books, she can be found doing aerial arts, fiber arts. . . all the arts. She is a friend to imaginary creatures everywhere. Visit her online at reginaflath.com and most everywhere @reginaflath. JES NEGRON has been working in media for over five years, first with books and most recently in video games. As a literary agent, she scoped out talent and managed her authors’ careers, working with projects ranging from kids’ picture books to adult epics. When she moved to video game publishing, she had the pleasure of working as an editor for the most popular PC game in the world, for which she was involved with regional publishing operations and content creation. Some of her projects over the years have included script writing, producing animations, and writing for a mobile application. A huge proponent of diversity in media, Jes has pushed for more inclusive representation in both the books she looked to represent and the video game characters she had a hand in marketing. In the past, she’s volunteered with writing workshops to introduce local teens to the world of character design and she also runs CritsForGood, an inbox open to writers of color for free feedback on their queries. EBONY LADELLE currently works as a Senior Marketing Manager at HarperCollins. Before HarperCollins, Ebony worked as a marketing manager at Simon & Schuster, where she had the pleasure to work with authors such as Shonda Rhimes, Mary Higgins Clark, and Jessica Knoll and also acquired her first book. MUSLIM GIRL by Amani Al-khatahtbeh published with rave reviews, including a New York Times Book Review. In her previous roles, Ebony has also worked on campaigns for Atul Gawande, Elizabeth Kolbert, and Andy Cohen. She holds a BA in Journalism from Howard University and received her MS in Publishing from Pace University in 2009. You can follow her on Twitter @coloringbooks. Queer & POC industry insiders on critiquing the media they love (or don’t). Where does the convo go when identities intersect? We tackle hard questions on whitewashing, queer-baiting & appropriation. Featuring geek media critic Mark Oshiro, author Karuna Riazi (The Gauntlet), children’s TV writer Terence Taylor (PBS, Nickelodeon, Disney), game creator Shoshana Kessock (Phoenix Outlaw Productions), and author Lara Elena Donnelly (Amberlough). LARA ELENA DONNELLY is the author of the critically-acclaimed gay glam spy thriller Amerlough from Tor Books. She is a graduate of the Clarion and Alpha workshops, and now acts as on-site staff and publicity coordinator for the latter. Her short stories and poetry have appeared in or are forthcoming from Strange Horizons, Mythic Delirium, Escape Pod, and Nightmare. While her physical form resides in Harlem, you can find her online atlaradonnelly.com or on various forms of social media as @larazontally. SHOSHANA KESSOCK is a disabled veteran writer and creator in the gaming community, and a contributing writer to several websites including The Mary Sue, Tor.com, Geek Initiative, and Ology.com. Her professional gaming experiences include being a LARP designer for Phoenix Outlaw Productions, Organizer and Designer, for Battlestar Galactica: Tales of the Rising Star and Writer and Organizer, The Dresden Files LARP. She is also a new comic book creator working on a comic called Nowhere Girls, which is focused largely on having an intersectional cast of young women at the center of its adventures. MARK OSHIRO is the Hugo-nominated writer of the online Mark Does Stuff universe, where he analyzes book and television series unspoiled, largely in the SF/F genres. He was the nonfiction editor of Queers Destroy Science Fiction! and the co-editor of Speculative Fiction 2015. His first novel, a YA sci-fi book set in a pre-dystopian world, is being edited, and his life goal is to pet every dog in the world. KARUNA RIAZI is a twenty-something Muslim American blogger and YA author. She is the creator of the viral feminist hashtag #YesAllWomen, as well as #NotYourStockMuslim and #OwnYourOwn. Her writing has been featured on The Toast, Brown Girl Magazine and the forthcoming YA feminism anthology, “Here We Are: Feminism For the Real World” (Algonquin, 2017). Her debut novel The gauntlet, was published by Salaam Reads in March 2017. TERENCE TAYLOR (terencetaylor.com) is an award-winning children’s television writer whose work has appeared on PBS, Nickelodeon, and Disney, among many others. Terence is also author of the first two books of his Vampire Testaments trilogy, Bite Marks (St. Martin’s Griffin, 2009), and Blood Pressure (St. Martin’s Griffin, 2010) and has returned to work on the conclusion of his trilogy, Past Life. Find Terence on Twitter @vamptestaments or walking his neighbor’s black Labrador mix along the banks of the Gowanus Canal and surrounding environs. Comments Off on Announcing details about my New York Comic Con panels this year!